I am interested in self-knowledge and its shortcomings, including beliefs about oneself and others that people cannot or will not report. Specifically, I study mental biases that exist outside conscious awareness, leading people to make inaccurate predictions about their future well-being and to make prejudiced judgments of others. In my main line of research, I investigate how and why people misunderstand what will make them happy. In a secondary line of research, I examine how people activate, inhibit, apply, and transmit stereotypes unintentionally. Aknin, L. B., Dunn, E. W., & Norton, M. I. (2012). Happiness runs in a circular motion: Evidence for a positive feedback loop between prosocial spending and happiness. Journal of Happiness Studies, 13(2), 347-355. Dunn, E. W., Brackett, M. A., Ashton-James, C., Schneiderman, E., & Salovey, P. (2007). On emotionally intelligent time travel: Individual differences in affective forecasting ability. Personality and Social Psychology Bulletin, 33, 85-93. Dunn, E. W., Gilbert, D. T., & Wilson, T. D. (2011). 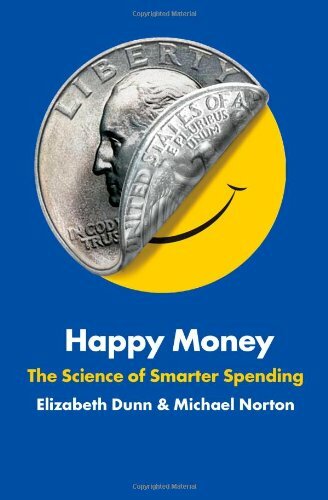 If money doesn’t make you happy, then you probably aren’t spending it right. Journal of Consumer Psychology, 21(2), 115-125. Dunn, E. W., Wilson, T. D., & Gilbert, D. T. (2003). Location, location, location: The misprediction of satisfaction in housing lotteries. Personality and Social Psychology Bulletin, 29, 1421-1432. Norton, M. I., Dunn, E. W., Carney, D. R., & Ariely, D. (2012). The persuasive “power” of stigma? Organizational Behavior and Human Decision Processes, 117, 261-268. Sinclair, S., Dunn, E. W., & Lowery, B. (2005). The influence of parental racial attitudes on children's automatic racial prejudice. Journal of Experimental Social Psychology, 41, 283-289. Wilson, T. D., & Dunn, E. W. (2004). Self-knowledge: Its limits, value, and potential for improvement. Annual Review of Psychology, 54, 493-518. Dunn, E. W., & Laham, S. A. (2006). Affective forecasting: A user’s guide to emotional time travel. To appear in J. Forgas (Ed. ), Hearts and minds: Affective influences on social cognition and behavior. (Frontiers of Social Psychology Series). New York: Psychology Press.